I’m sure most of you already know I’m a total coffee addict – heck, I’m so proud of this fact that I even added it to my blog header. 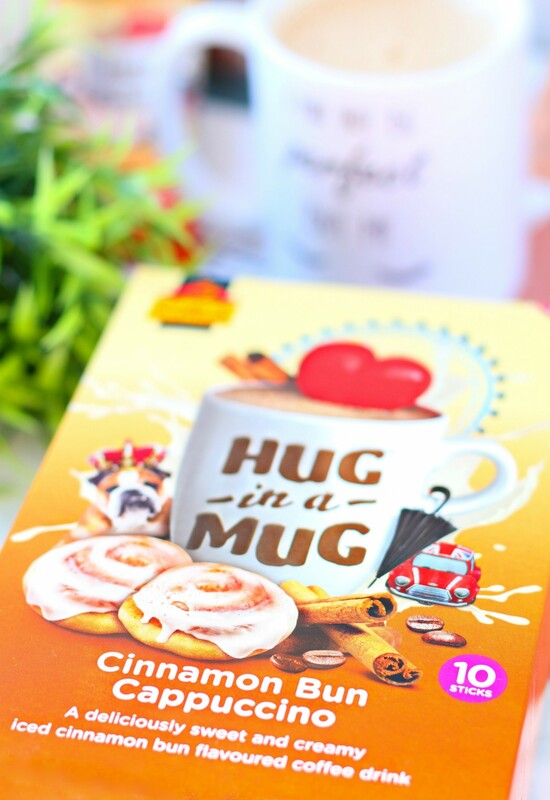 So when Hug In A Mug contacted a couple of weeks ago and asked if I’d like to taste test their new ‘Cinnamon Bun’ flavoured coffee drink, I was over the moon with excitement! So, every now and then I like to indulge in a yummy spoilicious treat. And the new Cinnamon Bun flavour couldn’t have arrived at a better time…just imagine curling up on your cozy couch on a cold Winter’s day with a good book while sipping on a deliciously creamy cappuccino that smells (and tastes) like an iced cinnamon bun. It really is the bee’s knees! There are 10 sachet sticks included in the box (retails for R42,95) – and what I love about the sachets is that they’re travel-friendly and easy to tear open. All you have to do is mix the sachet of powder with boiling water (I like to add a dash of milk too) and the end result is a frothy cappuccino with a sweet & spicy aroma. Hug In A Mug and I want to share some coffee love with you! 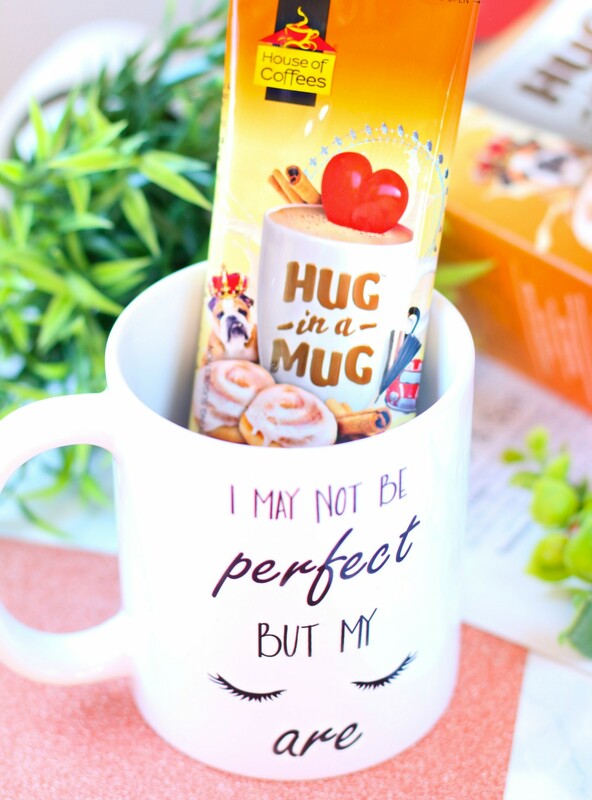 I have TWO Hug In A Mug hampers up for grabs – so there will be 2 winners. Head on over to my Instagram or Facebook page right now to enter the giveaway, look for my ‘Hug In A Mug Cinnamon Bun Cappuccino’ giveaway post and follow the instructions there – it’s super easy to enter! All you have to do is tell me what YOUR perfect Winter morning is using emoticons. I’ll be choosing the 2 most creative entries (1 from Instagram and 1 from Facebook), so make it fun & interesting. The giveaway ends in 1 week (3 July 2017) – and I’ll choose the 2 x winners on the 4th of July 2017. Be sure to follow me on Instagram and Facebook because I’ll be announcing the winners on both platforms. Giveaway is open to South African residents only. Disclaimer: This giveaway is sponsored by Hug In A Mug.